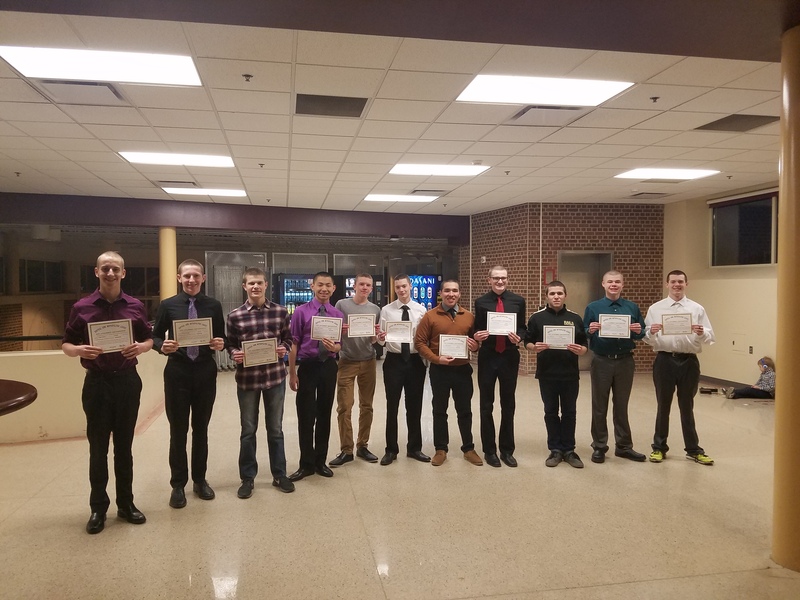 The high school men’s team concluded their season with the team banquet on Tuesday evening (2/21/18). The guys and their families all gathered to celebrate the hard work and the successful year. After a delicious dinner (by Tumea & Sons), the guys were awarded their junior varsity or varsity letters. After that, team awards were announced. You can read more about each award below. The 2018 Rails Men’s swim team worked very hard in the off-season to achieve big things this season. The guys faced and overcame a number of challenges that changed the course of their season. But it did more than that – it also changed their team bond, strengthening it as they persevered together. After having the team be self-described as the “closest one ever”, the upcoming season should be awesome to watch (with proper off-season training of course!). The team set three school records as part of the six Top 5 Records set this year. Javier Santiago broke the 100 Fly record from 2004 and became second all-time in the 100 Back. Brayden Clark became second all-time in the 100 Free and third in the 50 Free. Plus the 200 Free Relay and 400 Free Relay records came down off the wall. In addition to qualifying for the State meet for every single year in Coach Weber’s tenure (10 seasons! ), the guys also had great personal achievements. 13 Sub Club shirts were awarded this season (the most in a single season!). Will Bennett earned three just himself – Sub :60, Sub :55 and Sub :50, becoming the first freshman to go Sub :50. Meanwhile Shaun Slycord earned two Sub :60 and Sub :55. Other new Sub Club members include – Gabe McCollough, Joey Loiocomo, Trystan Thomas, Michael Scott, Anthony Nguyen, Matthew Gudenkauf, Tyler Skalicky, and Derek Webster. This recap can also be found under Season Summary along with some goals for 2018. Here’s some photos from the team banquet. See them all on the team’s photo website.